Claim "Union Bank of Nigeria Plc. 36, Marina Street, Stallion Plaza, Lagos Island, Lagos, Nigeria"
Have you ever been @UNIONBANK_NG ? What do you think about them? Write review today! 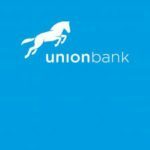 Union Bank of Nigeria Plc is a commercial bank in Nigeria and it was rated 14th largest bank in all over Africa, office in Marina Street, Stallion Plaza , Lagos Island, Lagos, Nigeria. We are commercial bank, serving individuals, small and medium-sized companies, as well as large corporations and organizations. Our services are individual banking and e banking, deposit accounts, finance to corporate and SME’s etc.